Our universal longing for love, purpose, and meaning in life can only be fulfilled inside a relationship with God; regardless of where you are on your journey, you can find your way back to God and awaken to living a life that matters! This series will help you to see there is a universal pattern that awakens us to finding love, purpose and meaning in life when we find our way back to God. Session 2 – Awakening to Regret – I wish I could start over. Session 3 – Awakening to Help – I can’t do this on my own. Session 4- Awakening to Love – God loves me deeply after all. Session 5 – Awakening to Life – Now this is living! God wants to be found by you more than you want to find him. Sign up below and for the next 30 days you will receive an email with a question for personal reflection and a short prayer. Set aside 15 minutes per day to journal your answer to the question and then pray the simple prayer provided. Make a wager with God to make himself real to you by giving him a few minutes of your time each day. What have you lost if we’re wrong and God does not make himself real to you? But, if you win the wager, the payoff will be the most important relationship you could ever have. Be sure to open each email every day to keep them coming! 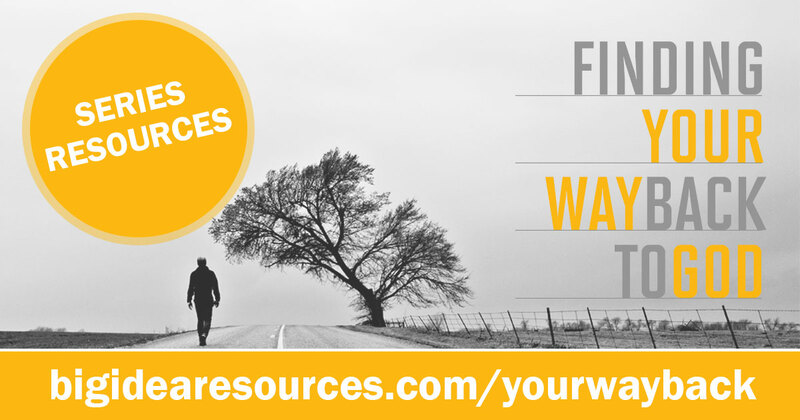 Weekend resources for this series are available for purchase on our e-store. 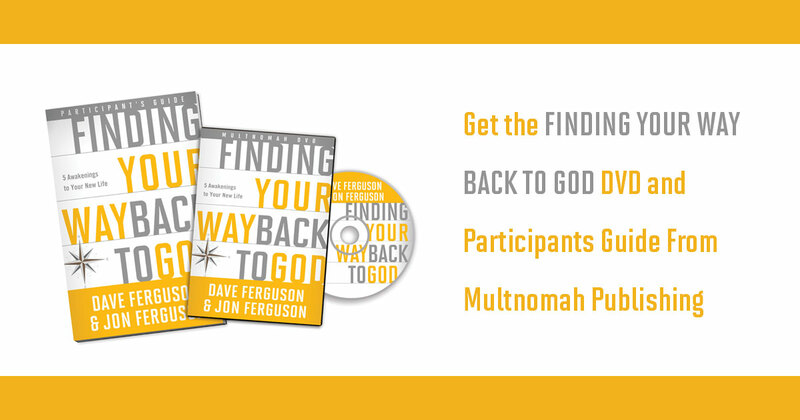 Multnomah Publishing is offering a five part DVD Curriculum and Participant’s Guide to go along with the Finding Your Way Back to God series.